Enter your email & receive updates! 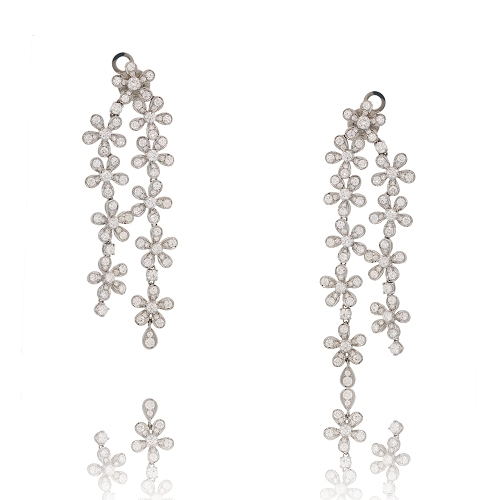 Two strand floral earrings set with brilliant round diamonds mounted in 18k white gold. Diamonds approx. 9.30ct. Earrings 3"
Because of the price fluctuation in gold and diamonds, we reserve the right to adjust prices accordingly without notice. Jewelry may be enlarged to show detail. All diamond, gemstone, and precious metal weights are approximate.